Getting the best from a press trip? One way of getting good media coverage for your hotel or destination is to arrange a press trip. This could be just a single journalist invited to stay at your hotel, or an organized tour involving a number of journalists to see a destination. 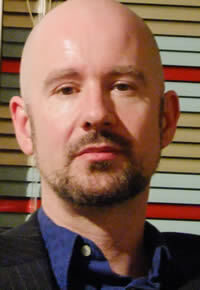 Simon Edge is a senior feature writer and journalist, working for one of the UK's top newspapers. One of GETA’s Patrons is Simon Edge, currently senior feature writer on one of the UK’s leading national newspapers and a regular contributor to the UK’s leading gay lifestyle magazine, Attitude. He is a veteran of many press trips and here he gives GETA members a journalist’s view on what makes a successful press trip. Having worked for Fleet Street newspapers (as we call our national press in Britain) for around 15 years, I have never had to organise a press trip. I have no idea of the work that goes in to gathering together a group of journalists, persuading restaurants to feed them and hotels to accommodate them, and making sure they turn up on time, bring their passports and don’t get lost in the airport. But I have been on more than my fair share of such visits, so I can offer some insights from the journalist’s point of view about what makes a good trip and what doesn’t. The first thing to remember is that a lot of the journalists will be on holiday. Some specialist writers make a living covering nothing but travel and they spend their lives in hotels and departure lounges. But in offices like mine, going on a press trip is a perk. It’s a change from what you normally do and you’ve probably had to take annual leave to join it. That means it needs to be fun. You’re taking days of your precious holiday allocation to go away with a bunch of strangers and you’ll have to spend some of it reading press releases, taking notes and paying polite attention to people who may not be the most engaging speakers. That goes with the territory. But it’s nice if it’s balanced by some very fancy food, accommodation, access and entertainment – the kind of stuff an ill-paid or cheapskate hack would never afford if they were travelling under their own steam. Thus I recently went on a trip to a major European capital to write about a travel promotion that really did represent a good deal for readers. The hosts made sure we only visited restaurants and destinations that were part of that promotion, which made good sense in terms of the written copy they hoped to get at the end. But I couldn’t help noticing that they took us to the cheapest possible restaurants even within the terms of that promotion. It left a lasting negative impression. Compare that with a trip to Vancouver to promote the Winter Olympics. We were taken up Grouse Mountain, the snow-capped peak just across the bay from the city which is easily accessible by cable car. Our hosts could have taken us up that way, but instead they flew us up by helicopter. It didn’t make a huge amount of difference to the eventual coverage they got in my paper – but it will guarantee I am a loud and outspoken fan of that city for life. "It’s nice if it’s balanced by some very fancy food, a nice room, access and entertainment – the kind of stuff an ill-paid or cheapskate hack would never afford if they were travelling under their own steam." Make sure you give your journalists enough to write about. Sometimes I’ve travelled with a partner, rather than as part of a group, and there’s a danger on those occasions of not discovering as much of the destination as I would have with a guide. With groups, show them new stuff, because there are bound to be people who have been to the destination before. But also give them the option of the old favourites in case they are first-timers. And remember they may only have a small space to write in. In my case, I get about 800 words maximum, which isn’t much if you want to set the scene, provide some colour and mention all the stuff you’ve done. As the organiser, you make a big effort to persuade restaurants to donate lunch and dinner over three days. That means six proprietors all expecting a mention. You may need to manage their expectations. Give out information but make the trip enjoyable. A restaurant where the journalists lose the will to live because a tourism official is droning on at them when they just want to get to the beach is unlikely to get a good write-up, however wonderful the food is. It’s also worth remembering that journalists will have a bigger appetite for facts, figures and pitches on day one than they will on day three. In my experience there will also always be some bore among the journalists who asks ridiculous technical questions, wanting detail that you know will never make it into their finished copy. I was once at the opening of a fancy hotel and amusement park in the Middle East where one colleague started asking how many tonnes of concrete had been used in the construction. A phone call was made and hey presto, the vice-president for reinforced concrete was wheeled out to give us a briefing. From then on, our hosts assumed it was vital for us to know all this stuff. Remember that it isn’t, and don’t put everyone else off by indulging one bore. In general it’s best to deal with the travel desk of the relevant publication as the first port of call, and let them select the journalist to send. If you invite journalists individually there is a danger of them enjoying your hospitality without having a firm commitment from the title in question to publish their piece. If you are approaching individual writers, try and verify they do actually have a commission from a travel editor. Having said that, it’s good to get the right person on the trip. I was once on a trip to a well known gay destination. The trip itself wasn’t specifically for gay journalists, but the organisers had included a gay magazine in the mix. The magazine sent someone who was convinced that gay destinations were over as a concept, which meant he had very little interest in checking out the gay bars on the island. So what was the point of having him there? As an organiser, the only way you can guard against that is by checking out the travel section of the publication before you send out the invites. It’s also good to be patient once the trip is over. Travel editors send staff and freelancers on press trips all the time. In my experience, the article will always run eventually – but to their schedule not yours. If there’s a specific event the trip is pegged to, it will probably happen within that deadline. But if it’s not time-specific, you may have to wait till the next season, and it’s better to accept that than to hassle and antagonise the travel desk.